Chef Sinju VargheseAl Raha Beach Hotel, a 5-star beachfront resort located in the capital of the UAE, is pleased to announce the appointment of Chef Sinju Varghese as the New Executive Chef. The 15 year veteran chef will ensure the smooth functioning of the various culinary activities scheduled at the hotel, introduce new techniques to attract customers; promote the hotel and increase its profitability while identifying and quickly resolving the issues that arise in the kitchen. In his new capacity, Chef Varghese will showcase his extensive knowledge of the industry and will be abiding by his 5 principles of adhering to quality standards, incorporate guest friendly menus, serve authentic food, establish a meaningful connection with the guest to receive honest feedback and respect the criticism received to fine-tune the delivery of services. 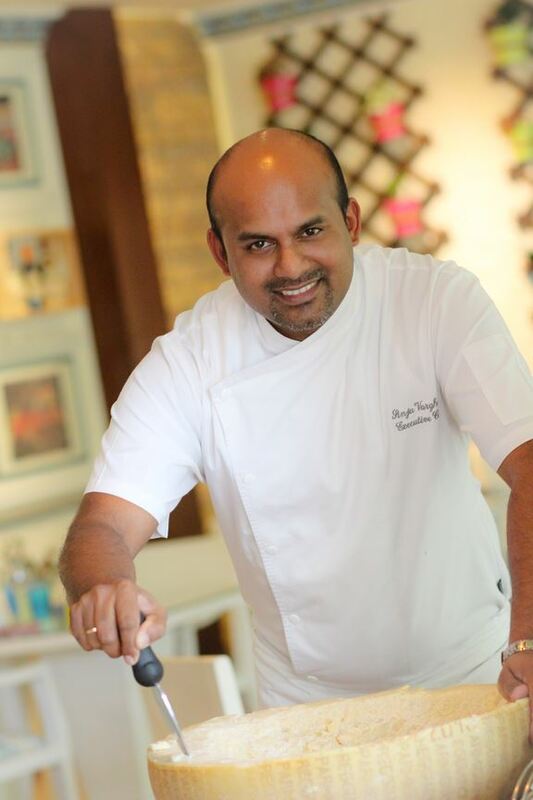 Prior to joining Al Raha Beach Hotel, Chef Sinju Varghese has been associated with various international brands & some unique luxury properties such as Emirates Palace, Westin Golf Resort and Spa, Fairmont hotels & resorts, One & Only Royal mirage, Taj & Intercontinental. He has worked with some of the best Michelin star chefs in the world such as Mauro Colagreco, Heinz Winkler, and Ryan Clift & Massimo Bottura. During his career, he has received various awards and accolades such as Chef of the Year 2014, Young Chef of the Year 2013 & Best Restaurant awards.